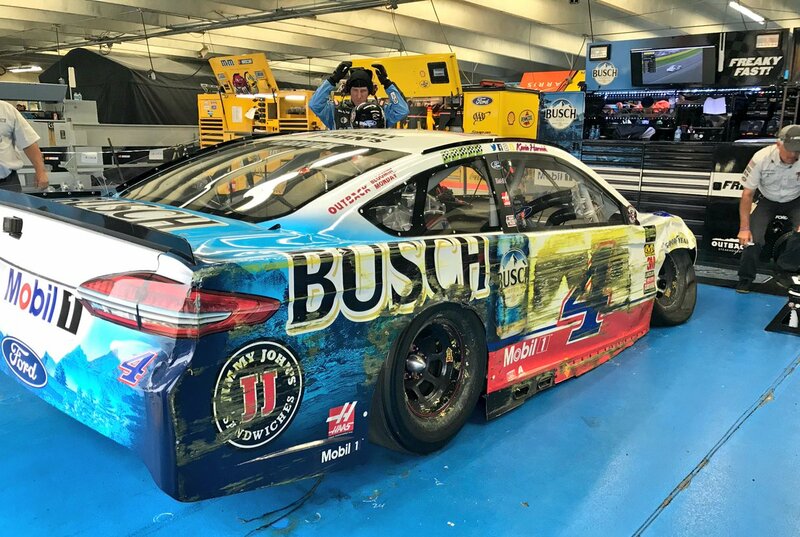 Kevin Harvick picked up the 1st last-place finish of his Monster Energy NASCAR Cup Series career in Sunday’s Coca-Cola 600 at the Charlotte Motor Speedway when his #4 Mobil 1 / Busch Beer Ford was involved in a single-car accident after 83 of 400 laps. 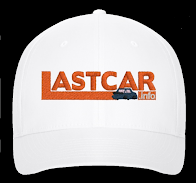 In the Cup Series last-place rankings, it’s the 40th for car #4, the 566th by reason of a crash, and the 681st for Ford. Across NASCAR’s top three series, it’s the 66th for the #4, the 938th for Ford, and the 1,139th by reason of a crash. Consider how much has changed since 1995. 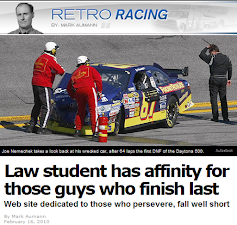 On October 15th of that year, Harvick was 19 years old. He made his debut in NASCAR’s new SuperTruck Series, driving in the Spears Manufacturing 200 at the Mesa Marin Raceway in his native Bakersfield, California. Harvick put his family’s #72 Hall Ambulance Chevrolet 27th on the grid and finished there. Through his most recent Truck Series start in 2015, he’d earn 14 wins and a best points finish of 12th in 1999. And in all 123 of those races, he never once finished last. Harvick was 23 on October 23, 1999, when he made his XFINITY Series debut at Rockingham, North Carolina for the K-Mart 200. Driving the #2 Invinca-Shield Chevrolet for Richard Childress Racing, Harvick started 24th but finished 42nd with engine trouble. Casey Atwood edged him for last by 30 laps. Harvick would go on to earn 47 wins in the series, including a pair of titles in 2001 and 2006. And in all 343 of those races, Harvick never once finished last. Following Dale Earnhardt’s tragic death on the last lap of the Daytona 500, a 25-year-old Harvick shouldered the impossible task of following “The Intimidator.” With the black #3 now a white #29, Harvick made his Cup debut on February 25, 2001, during a somber Dura Lube 400 at Rockingham. When rain pushed the finish of the race to Monday, Harvick finished 14th. Just 13 days after, Harvick earned his first of 42 Cup Series wins on his way to Rookie of the Year. He’d join Stewart-Haas Racing in 2014, and straight away clinch his first series title. 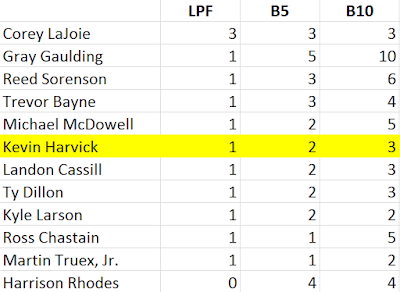 And in all 622 of those races, heading into Sunday’s race in Charlotte, Harvick never once finished last. Of all Harvick’s accomplishments both on and off the track, his ability to avoid finishing last in any points-paying races (his only last-place runs were one each in the Sprint Unlimited (2016) and the All-Star Race (2001)) stands as one of his least-known and most remarkable. As with Kasey Kahne (417), Clint Bowyer (298), and Jimmie Johnson (529), who all saw triple-digit streaks end in recent years, Harvick came close to finishing last several times. He finished next-to-last seven times in Cup, once in XFINITY (his series debut), and five times in the Truck Series. Coming into Sunday’s race in Charlotte, there was no sign the streak would end. He’d won the previous two consecutive points races at Dover and Kansas, plus last Saturday night’s All-Star Race. Despite an encumbered win at Las Vegas, his four remaining wins placed him atop the Playoff standings as the series arrived for the halfway point of the regular season. 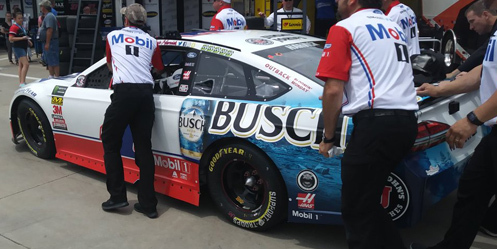 He would debut a new paint scheme at Charlotte, a modified version of the Mobil 1 paint scheme with Busch Beer on the quarter-panels. In addition, as part of Memorial Day and the “NASCAR Salutes” program, his #4 carried the name of Lance Cpl. Patrick Ryan Adle of the United States Marine Corps. Lance Cpl. Adle of Bel Air, Maryland joined the USMC when he turned 18, and was was killed in his second tour in Iraq on June 29, 2004. After Rick Ware Racing canceled the debut of their second team, a #52 Chevrolet to run alongside the Chartered #51, exactly 40 cars were entered for as many starting spots. Of them, Harvick ranked 14th in Thursday’s opening practice, but was unable to back up that time in qualifying when his car failed inspection three times. NASCAR ejected Harvick’s car chief, put the #4 on a 30-minute practice hold, and kept Harvick from qualifying. After a 17th-place run in Happy Hour on Saturday, Harvick set his sights on getting a better run on Sunday, where he’d start 39th in the 40-car field. Starting 40th was J.J. Yeley, driving for car owner Jonathan Cohen. Cohen was the owner behind Xxxtreme Motorsports (later known as Team XTREME Motorsports) which fielded some spectacular-looking #44 Fords and Chevrolets with sponsorship from No Label Watches and Phoenix Warehouses. This time around, Cohen returned to the circuit under the NY Racing Team, a post-entry not eligible for points due to its late addition to the entry list. NY’s black-and-white #7 Steakhouse Elite Chevrolet was reportedly prepared at Premium Motorsports. At the same time, professional differences arose between Brian Keselowski, who had been working on improving Premium’s Truck Series effort, and Keselowski tweeted that he and his crew parted ways with Premium. Yeley’s #7 was then driven to Charlotte in a Premium Motorsports hauler used by Wendell Chavous’ #49 Truck Series team. Like Harvick, Yeley didn’t turn a lap in qualifying, and earned the 40th spot as a lower-ranked “open” team. Regardless, it would mark Cohen’s first Cup start as an owner since Reed Sorenson’s backup car effort in the 2015 Daytona 500. On race evening, the back of the field changed just before the start. Incurring pre-race penalties were 35th-place Landon Cassill, whose #00 Dairi-O Chevrolet failed tech inspection, and 24th-place Darrell Wallace, Jr., whose Richard Petty Motorsports team made unapproved adjustments to the #43 Kroger / Coca-Cola Chevrolet. During the pace laps, four more teams voluntarily fell to the rear: Premium Motorsports teammates Ross Chastain (#15) and Jeffrey Earnhardt (back in action for the first time since Fontana, this time in the #55), Motorsports Business Management’s Timmy Hill (#66), and B.J. McLeod for Rick Ware (#51). When the dust settled, Harvick had moved up from 39th to 34th, starting alongside Wallace’s #43. Row 18 now consisted of Hill and Chastain, followed by McLeod and Cassill, then Yeley and Earnhardt rounding out the field. When the race started, Yeley got a jump on Earnhardt, but Earnhardt pulled alongside Yeley on the backstretch. Earnhardt wrestled 39th away from Yeley off Turn 4, and set to work on 38th-place Timmy Hill. On Lap 2, Hill’s Toyota slipped up high, forced there by a persistent tight condition. By Lap 5, Hill was 13.7 seconds back of the leader and dropping fast, reporting his car was a “seven tight center, then loose on exit.” Polesitter Kyle Busch caught sight of Hill on Lap 12, and the next time by lapped him at the start / finish line. Hill lost a second lap by the 29th circuit. But on Lap 48, Dillon pulled down pit road a fifth time, the cockpit completely filled with smoke. As the crew discovered later, the right-rear hub caught fire after the tire failed. The fire was put out, and Dillon, now last, returned to the track 10 laps down. Once again, there were issues in the right-rear of the machine. Dillon complained of something flapping in the right-rear, and also said there were issues with the brake lines. “She’s broke,” said Dillon, and he pulled behind the wall on Lap 58. But the Richard Childress Racing crew wasn’t finished yet, and by Lap 75, they were still hard at work, sealing up the right-rear fender with Bear Bond. If things stayed the same, it would be just the first time car #3 finished last in a Cup points race at Charlotte since October 8, 1989, when Dale Earnhardt’s broken camshaft resulted in one of his only two 42nd-place finishes, ultimately paving the way to Rusty Wallace defeating him for the championship. 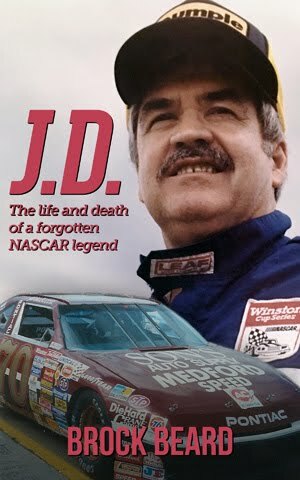 But the night would belong to another driver – the very driver who had replaced Earnhardt at RCR, and the one who with his departure to Stewart-Haas caused Childress to bring back the #3. 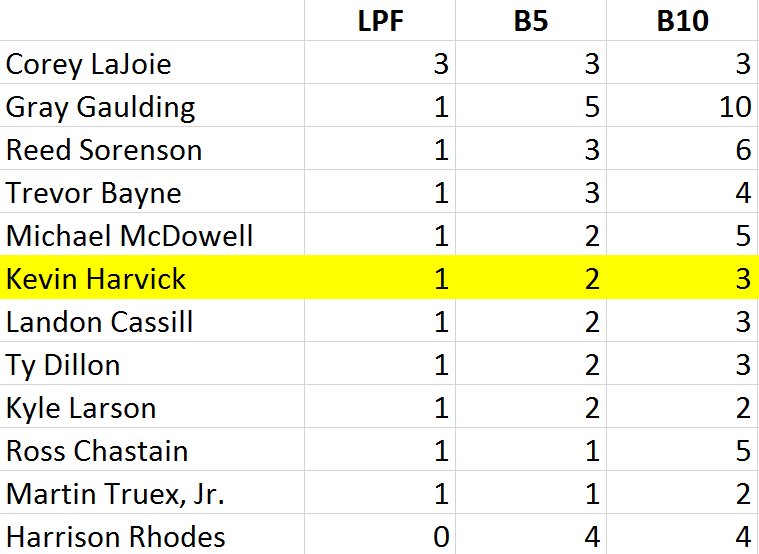 By Lap 83, Kevin Harvick had rallied from 39th on the grid to 4th, and was tracking down Kyle Larson for 3rd when he ran over a piece of debris in Turn 3. Already running the high lane, Harvick’s car cut a left-front tire and smashed into the outside wall, grinding against it for several feet. When Harvick got control and pulled down the banking, the right-front wheel was tucked under the fender, showing heavy suspension damage. Harvick pulled down pit road, then behind the wall, abruptly eliminated from the race under the “Crash Clock” rules. By Lap 86, Harvick’s car was listed “unavailable” on RaceView, and he took 39th from Timmy Hill on Lap 89. The result was significant - if Dillon returned to the track and completed enough laps, Harvick would fall to last for the first time. The first step occurred on Lap 100, when the RCR team took Austin Dillon’s car off the jacks and pushed it out of the garage. With Stage 1 ended, Dillon returned to the track under yellow on Lap 101, 52 laps down to the field. Now just 34 laps behind Harvick, Dillon would have to complete 35 laps in order to drop the #4 to 40th place. Suddenly, the only thing that would keep Harvick from finishing last was if Dillon retired from the race before he completed enough laps. There was some discussion as to how much longer the #3 would go. When told how far he was behind, Dillon said he could run until Lap 350 and keep passing other cars. But the crew was doubtful they would run that long. Fortunately for the RCR team, Dillon managed to keep a decent pace, and by Lap 113 passed the lapped Corey LaJoie. On Lap 117, Dillon pitted for fresh tires, which allowed him to keep closing the gap. Finally, on Lap 136, Dillon dropped Harvick to last. Dillon ended up climbing out of the Bottom Five, not losing another lap and coming home under power in 34th. Finishing 39th was rookie William Byron, whose #24 Liberty University Patriotic Chevrolet smacked the Turn 2 wall twice, ultimately eliminating him with heavy right-rear damage. J.J. Yeley’s first run for the NY Racing Team carried him 191 laps into the race before the fuel pump failed. 37th went to Matt DiBenedetto, who made his left turn into the garage after fluid discovered to be oil leaked from his #32 Cosmo Motors Ford. Rounding out the Bottom Five was Ryan Blaney, whose early engine troubles ended with a fiery failure that ended his night after Lap 278 laps. *The finish occurred in Harvick’s 623rd Cup Series start, ending the longest active streak without a Cup Series last-place finish. For comparison, that’s just 30 fewer starts than the late J.D. McDuffie ran in his entire Cup career from 1963 to his untimely death in 1991, when he trailed 32 events. *Among active full-time Cup Series competitors, the longest streak without a Cup Series last-place finish now belongs to Brad Keselowski, who is 0-for-318 dating back to 2008. 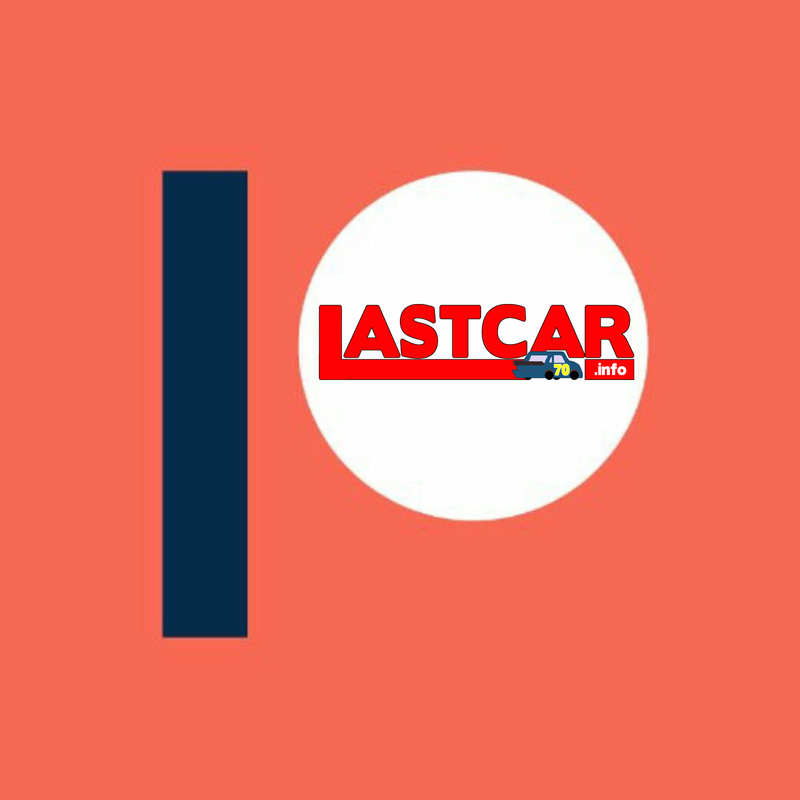 *Car #4 hadn’t finished last in a Cup race since October 13, 2007, when Ward Burton lost an engine on Morgan-McClure’s #4 State Water Heaters / Lucas Oil Chevrolet at Charlotte. The only other driver to earn a last-place finish with car #4 at Charlotte was Mike Wallace, whose #4 Lucas Oil Products Chevrolet busted a timing chain after 40 laps of the UAW-GM Quality 500 on October 15, 2005. The number had never before finished last in the Coca-Cola 600. I like that you added all the pics for the last five place finishers. Big thanks to Michael Harvey for that one. He provided all this weekend's pictures from his weekend in Charlotte.